Millions of people have started learning a new language with Rosetta Stone® software, and you can be one of them. Rosetta Course™ brings the award-winning Rosetta Stone language-learning method to the iPad®—to get you speaking from lesson one and help you build confidence as you study and learn. Take the award-winning Rosetta Stone software with you. •Learn to speak, listen, and read in a new language through our engaging, active, learning environment. •Polish your pronunciation with proprietary, advanced speech-recognition technology you won’t find anywhere else. 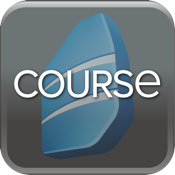 •Enjoy our interactive course in an experience streamlined for your iPad® device. • Get free access wherever you’re connected to the Internet. Just create a new account, or sign in with your existing Rosetta Stone account credentials. NEW USERS: Start learning immediately—and when you’re ready, get additional content with in-app purchasing. CURRENT ROSETTA STONE LEARNERS: Stay connected to your new language on your iPad. Rosetta Course™ syncs your progress across devices so you can maintain momentum when you’re on the go.